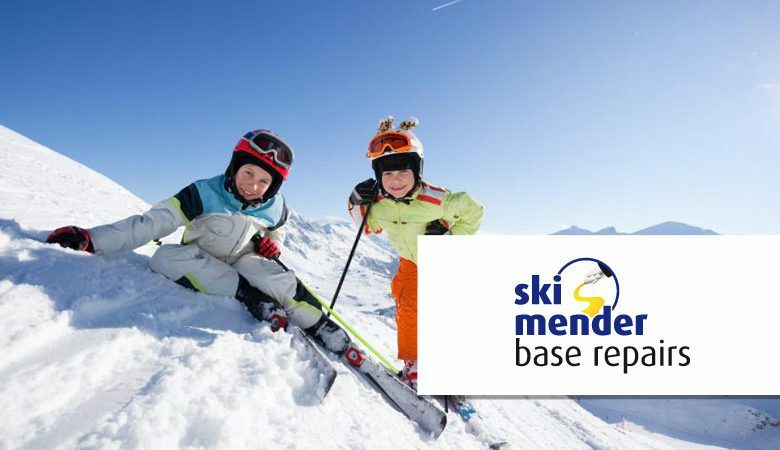 The skimender system is the ideal way to perform quick and reliable ski and snowboard base repairs. For fast results, use the skimender base repair sticks with the RP105, a repair pistol ideal for users who want to carry out their own repairs to lightly damaged areas. The trigger-controlled flow rate of the RP105, along with the flat-head nozzle, makes it easy to dispense and iron the repair material into surface scratches and small gouges. The pistol is supplied with a convenient metal stand for holding the tool when not in use. The RP105 is easy to operate, with an illuminated on-off switch and a warm up time of between 15 and 20 minutes once loaded with a base repair stick. When the gun is ready, simply squeeze the trigger to dispense the molten repair material. Alternatively, the RP360 is a high-performance pistol for professional repairs, designed and built to carry out long-lasting repairs quickly and simply. Operating this tool is easy: simply insert a repair stick into the tool and pull the trigger. The flow rate of the molten repair material, extruded through its unique high-temperature heated nozzle iron, is controlled by operator trigger pressure. No other gun-based system operates close to the skimender RP360 temperature. The high temperature of the heated nozzle iron actually welds the repair material to the base, making the ultimate permanent repair that will outlast all others. 8mm x 200mm (¼″ x 8″) base repair candles and high quality 12mm x 200mm (½″ x 8″) base repair sticks are available in transparent or black, in a range of pack sizes. The base repair candles can be used alone by heating one end and directing the molten repair material into any damaged areas of the ski or snowboard. Once dry, any excess repair material can be trimmed using the skimender scraper tool to create a smooth finish.